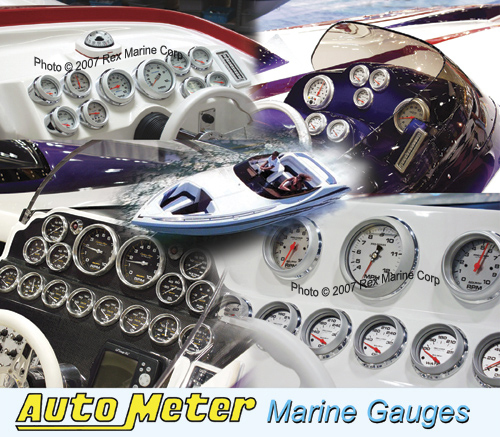 Click here to see the complete Auto Meter Marine Gauge lineup. Performance & Auto Meter Marine Instruments. Auto Meter Marine Instruments are available for online purchase now. All products may also be purchased by phone, fax, or email contact. order now and will become available for online purchase soon. Pro-Comp White, Pro-Comp Ultra-Lite Silver, and Pro-Comp Carbon Fiber. Rex Automotive & Marine is a full line distributor for Auto Meter products. be drop shipped to you right from Auto Meter to expedite your order. Order easily by phone, fax, email, or online.